Watsonville, CA - A group of talented high school and college students are competing to have their artwork selected to represent the theme of the 2010 Santa Cruz County Fair. These semi-finalists were given the task of turning "Apple Pies and Family Ties" into a piece of original art. This artwork will then be used on the collectable poster as well as program covers and advertising to promote the fall fair. From now through Sunday, April 18, visitors to the Fair website can vote for their favorite piece of art and the results will be used to provide guidance to the Fair board of directors who make the final choice. 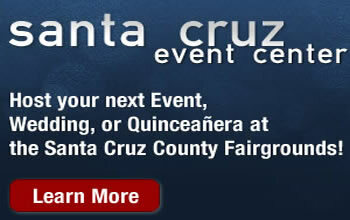 Voting is now open to all who visit www.santacruzcountyfair.com Remember, one vote per person and the poll closes Sunday, April 18. The winner will be announced late April.